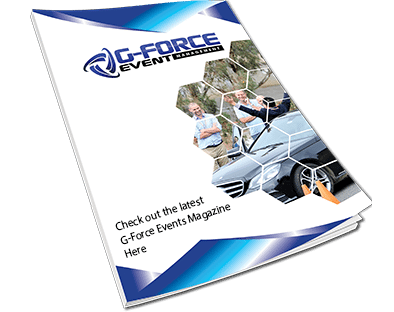 Specialising in high octane experiential and educational events, G-Force has over 20 years partnering with corporate entities that are looking to step up to a higher standard for their customers, VIP’s and teams. The G-Force team are dedicated to creating events that live in the minds and hearts of the participants and audience. We are here to create, design, and implement outstanding and exclusive events for your clients and team. G-Force draws from our multiple Australian and New Zealand championship motorsport teams and drivers to bring you the most professional staff, instructors, motivational speakers and marketing platform partnerships. Everything we do is designed to create raving fans for our clients brand. Magic event at the Island! ……such a ranking is indeed a credit to the overall professionalism and high standards displayed by you and your team of instructors. Your team are a credit to you and couldn’t have been more helpful or professional. We all walked away with smiles from ear to ear, not to mention some extra knowledge. A truly memorable day that my crew will talk about for a long time to come. Highly recommended! Very Impressive organization. Our team thoroughly enjoyed playing professional race car driver for the day and highly benefited from the safety aspect of the course and the team building qualities involved. Definitely made memories to last a lifetime. Always wanted to be a race car driver, here’s how it’s done – Be a part of the fun!